PTMSC Blog : Get your passport stamped at PTMSC this summer! 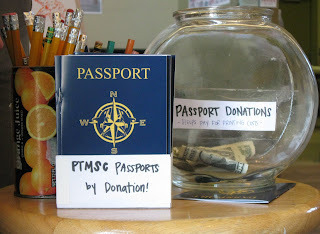 Get your passport stamped at PTMSC this summer! Today marks the debut of our PTMSC passport, an interactive pamphlet that guides visitors through our exhibits by posing questions and asking patrons to draw their favorite animals while interacting with our volunteer docents! Make sure you get your hands on this precious little keep sake...they are hot off the press and are going quickly. Completed passports get special stamps to show you visited each exhibit! All ages are welcome to take home their own PTMSC passport! I love those passports--it was such a great idea. Thanks for thinking of it and following through to get them created. Hope everyone enjoys using them!